A year ago, iVoomi entered the Indian market and made the sub Rs 5,000 price bracket its own. To celebrate the success of its first year anniversary, iVoomi has announced an Anniversary Edition of its flagship phone- the iVoomi i1s. This new edition comes in a Classic Black colour and brings the much-hyped Face Unlock feature to the budget segment. The iVoomi i1s Anniversary Edition will be up for sale for Rs 7,499 exclusively on Flipkart starting today. Alongside this, the company has partnered with telecom operator Reliance Jio to bring the effective price of the new smartphone to Rs 5,299 through the JioFootball offer which provides an instant cashback of Rs 2,200. Furthermore, iVoomi also stated that it would provide two years of warranty on some of its smartphones- the iVoomi i1, i1s, Me3 and Me3S for users who purchase the devices between March 9 and March 31, 2018. The Chinese company also announced its foray into the UAE market through e-commerce giant, souq.com in the smartphone category expanding its global reach to ten countries. For the unaware, the iVoomi i1 and i1s smartphones were released back in January 2018. With these phones, iVoomi introduced dual cameras and 18:9 displays to the budget segment. Talking about today’s Anniversary Edition i1s, it runs on the company’s Smart Me 2.0 OS on top of Android 7.0 Nougat. The iVoomi customised skin comes with several features such asv3D Smart widget, Child mode, Face Age mode, Watermark photos, Time-lapse mode, Panorama mode, Filters, Real-time level 7 beauty effect, and many more. 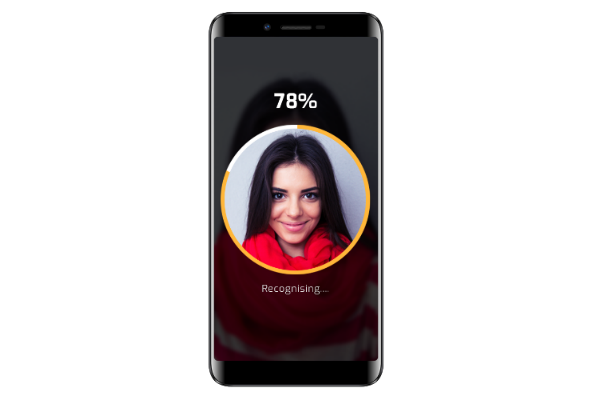 Also, the Face Unlock feature uses the selfie camera to unlock the device, unlike the iPhone X which has several sensors to get the job done. Rest of the specifications of Anniversary Edition iVoomi i1s are similar to the standard iVoomi i1s. It offers a 5.47-inch 18:9 HD+ display on the front and is powered by the quad-core MediaTek MTK6737v SoC. The i1s rocks dual camera setup at the back. A primary 13MP camera is paired with a secondary 2MP depth sensor. An 8MP front-facing camera is present at the bottom. The phone has 3GB of RAM and 32GB of internal storage, and it’s backed by a 3000mAh battery.